Do you have an extra $129,000 lying around? NVIDIA has moved its GPU business far beyond just powering gaming computers. For several years now, the company has been focused on using its technology to power advanced machine learning technology, and today the company announced the positively wild $129,000 DGX-1 supercomputer. 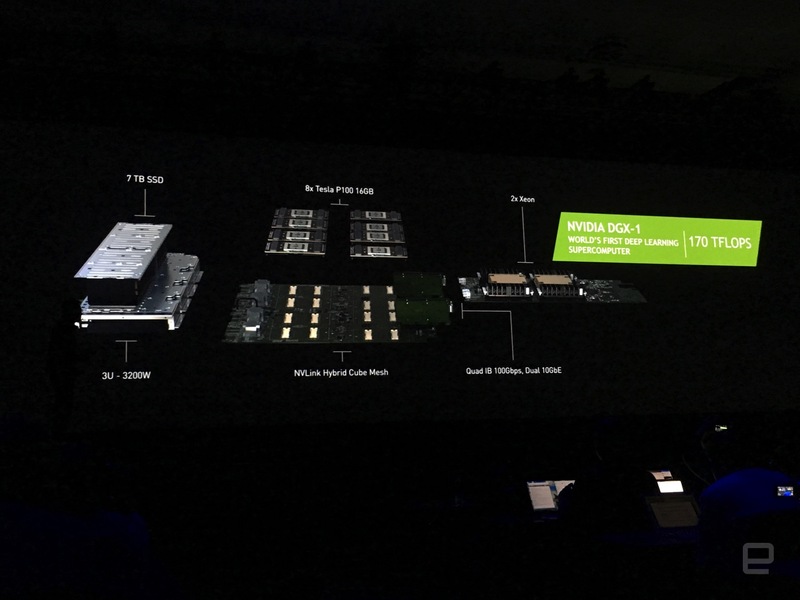 NVIDIA CEO Jen-Hsun Huang called the DGX-1 the equivalent of 250 servers in a box -- it has 7TB of SSD storage, eight of the just-announced Tesla P100 GPUs and two Xeon processors. It's an insane amount of computing power (170 teraflops in a single machine), and it's a 12X improvement over what NVIDIA announced last year. As for who might be buying these computers, NVIDIA is positioning this machine for serious research purposes -- the first machines off of NVIDIA's assembly lines will go to ten universities including MIT, Stanford, NYU and Berkeley. The company is also positioning the DGX-1 as a key component of its new AI Driving machine-learning system called Drive PX, which helps to enable vehicle recognition at 180FPS. The goal of having such a relatively system is to make deploying such massive computing power much easier. "Data scientists and AI researchers today spend far too much time on home-brewed high performance computing solutions," Huang said in a press release. "The DGX-1 is easy to deploy and was created for one purpose: to unlock the powers of superhuman capabilities and apply them to problems that were once unsolvable." 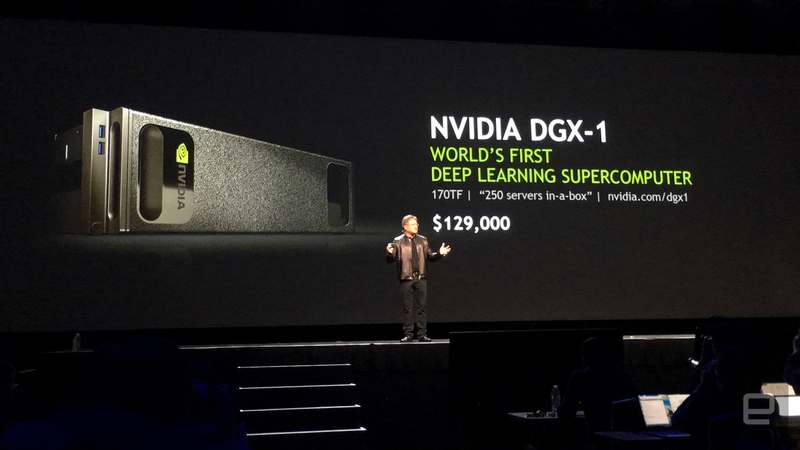 For the companies and organizations that'll take advantage of these computers, the pricing is surely not a concern -- and with machine learning and artificial intelligence crucially important from companies like Google and Microsoft as well as the research organizations Huang cited, there's likely a pretty big market for NVIDIA's all-in-one deep learning supercomputer.